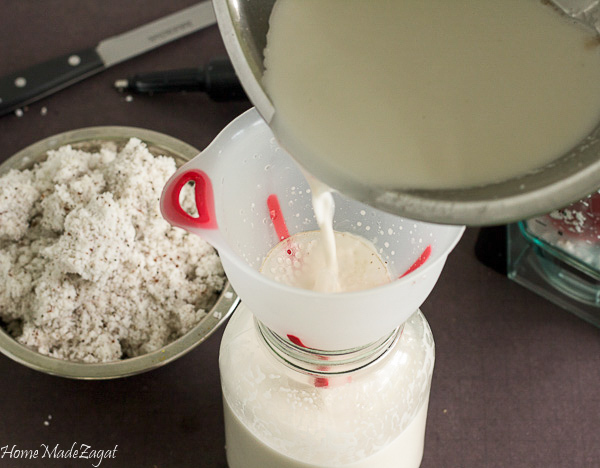 A step by step guide to making coconut milk using a fresh coconut. 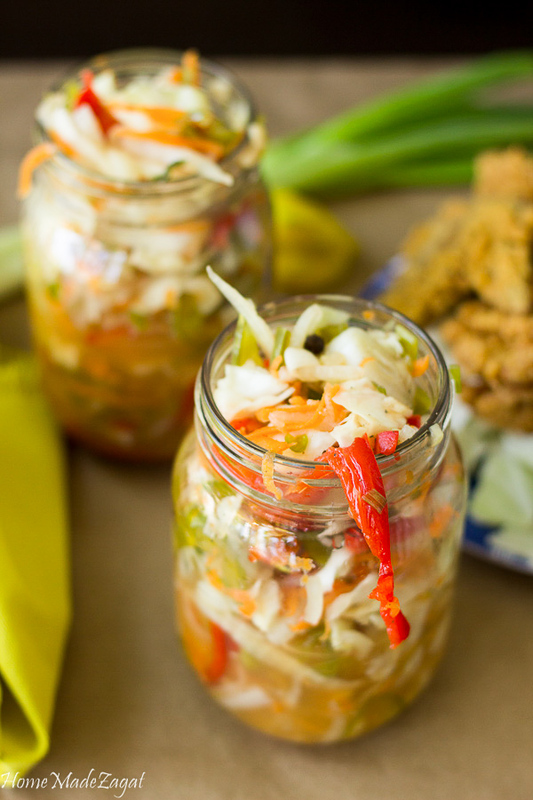 Coconut is such a staple in Caribbean cooking. 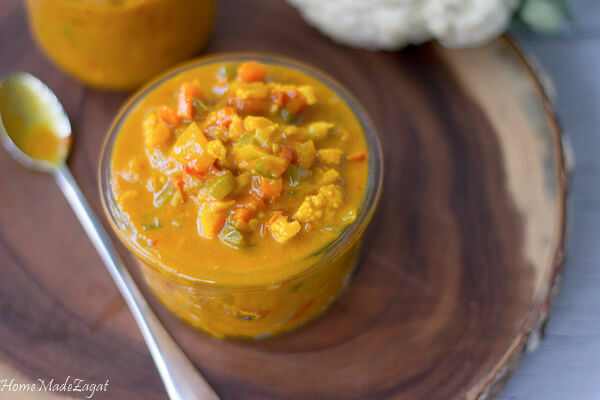 Found in abundance, this one item can be made and used in so many different foods from sweet to savory. We are able to get so many uses from a coconut, with coconut milk being one of the most common produce, along with coconut oil. 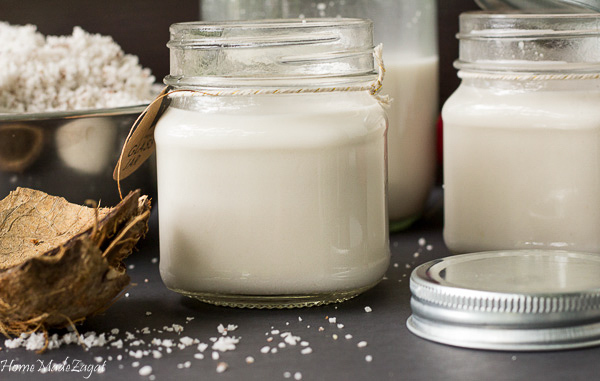 Coconut milk has so many amazing benefits and it's quite easy to make. I grew up seeing my mom make coconut milk from dry coconut whenever she needed it to cook. We had a coconut tree, so coconuts fell all the time. It was just about going out to the tree and grabbing a dry coconut and cutting it up to work on it. 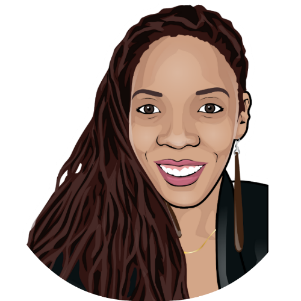 The milk would be used in stew chicken or an stewed meat, or in fish in some coconut curry sauce. But that isn't all the coconut is good for. 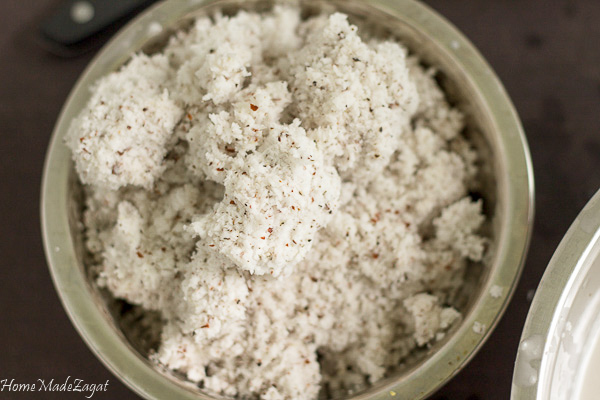 We also use coconut milk and make coconut oil, and the husk (grated coconut) can be used to make coconut tart, coconut drops, used in sweet bread and coconut bake. 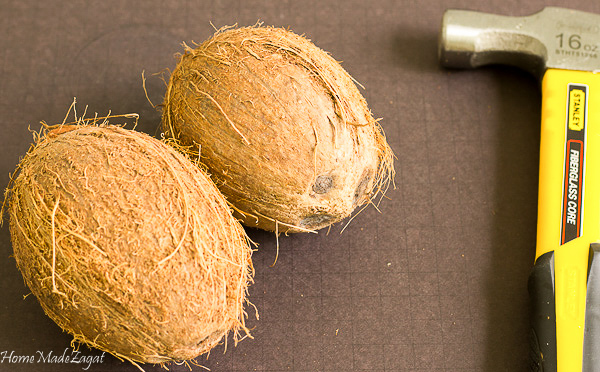 Why is the coconut so prevalent? Coconut in general has many benefits. It provides vitamins C, E, B1, B3, B5 and B6 and has minerals ranging from iron and sodium to magnesium and phosphorous. This milk which is not really a milk per se, is really the meat of an adult coconut blended up and the liquid produced becomes the milk. 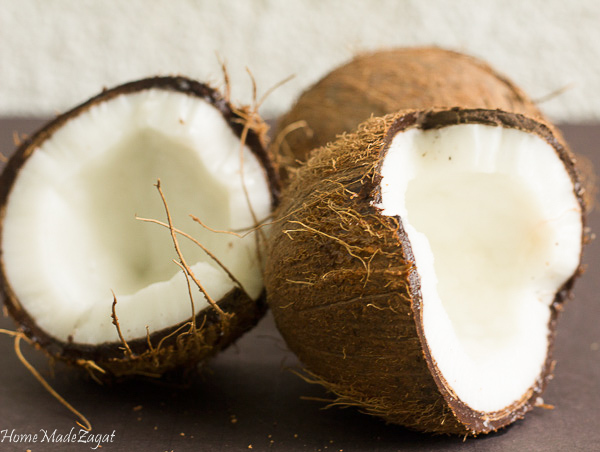 When choosing the best dry coconut (which is really an adult coconut versus the ones we use to get coconut water) I suggest doing a little shake of the coconut to hear if there is water in there. We want it to have water. As a coconut matures, it loses its water for meat. So though we want more meat then water, we don't want all meat. Most times if there is all meat the coconut is rotten. Had enough of the coconut lesson? 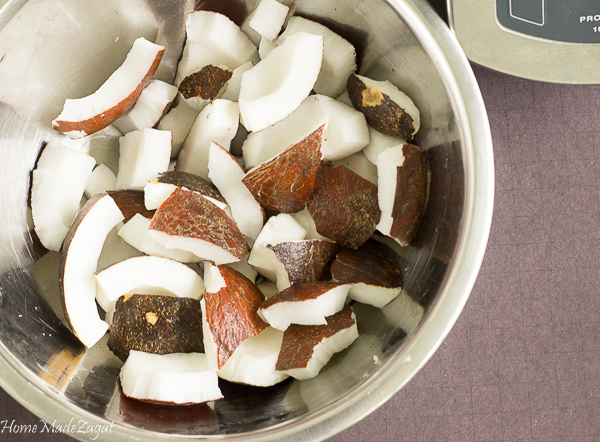 Here's the step by step process of taking a dry coconut into coconut milk. Use a hammer, of if you have heavy chopper. If there is still meat attached to shell, use a not too pointy rounded knife and separate the meat. Be careful with your fingers. Now don't get me wrong. I am an avid user of coconut milk in the tin. 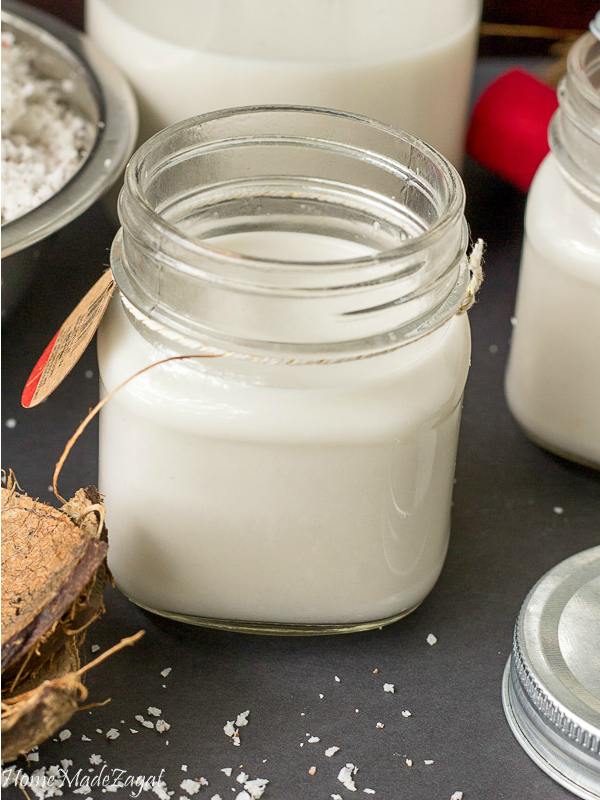 It's convenient and surely less work, but after making your own coconut milk you would definitely taste the difference of this fresh version. Tin milks obviously have preservatives for shelf life, some more than others which is a strike against it. 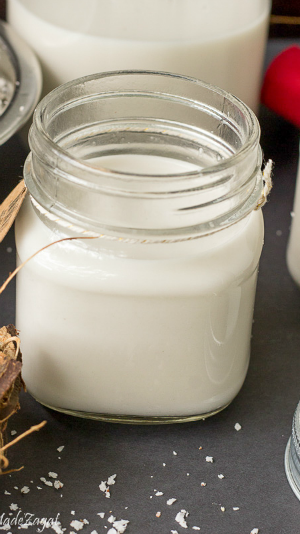 Natural coconut milk does not last half as long as one from the tin. 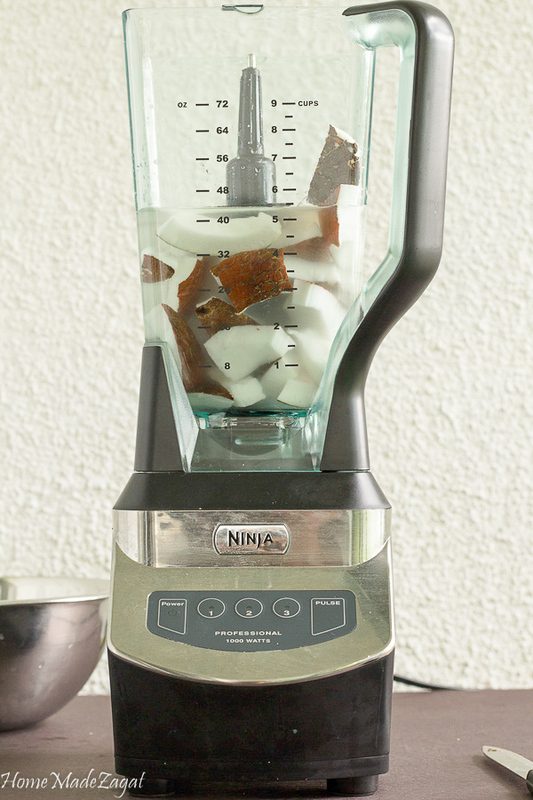 This would easily replace wherever you use coconut milk. In your stews, in your curries. In your coffee? See how easy it is? Really doesn't take that much work, especially if you have a good blender. 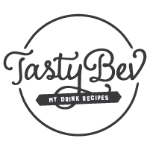 Get some fresh coconut milk into your life!! You won't regret it. And remember I said we use all of the coconut!! 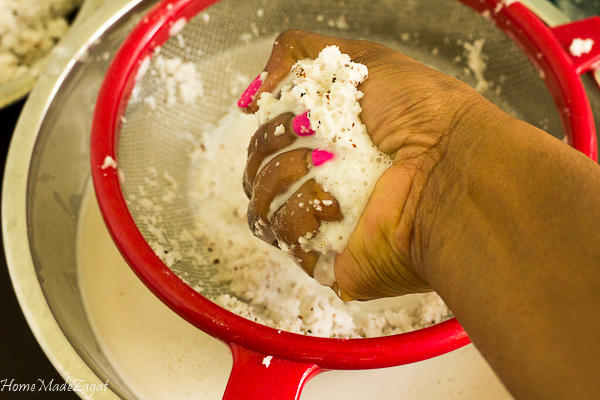 An easy step by step guide for making coconut milk from a fresh dry coconut just like we do it in the Caribbean. 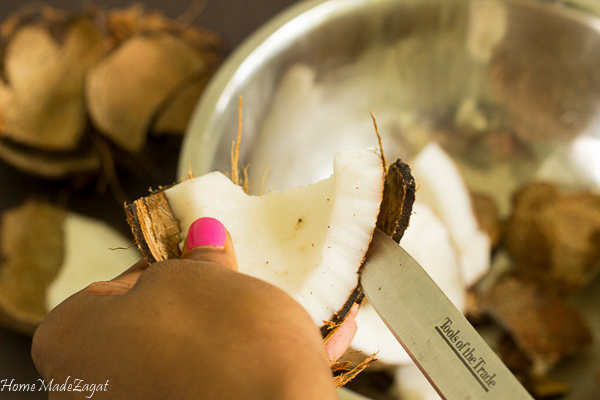 Using knife, remove any shells that may still be attached to the "meat" of the coconut. Cut the meat into small enough pieces to work well in the blender. Doesn't have to be extremely small but not too big. Add enough water to fall just below the level of the coconut meat. (this is to ensure the water isn't too watery). 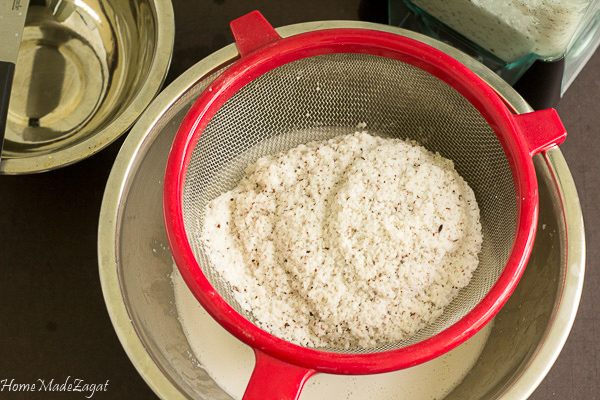 Pour coconut mixture into strainer and work as much liquid out of the coconut as possible. Once that is done you can now use your hands to continue squeezing liquid of the coconut in batches, placing the squeeze coconut husk to the side. Continue squeezing until all the husk is moved to another bowl. If using cheese cloth, just squeeze husk in cloth until all liquid is removed. 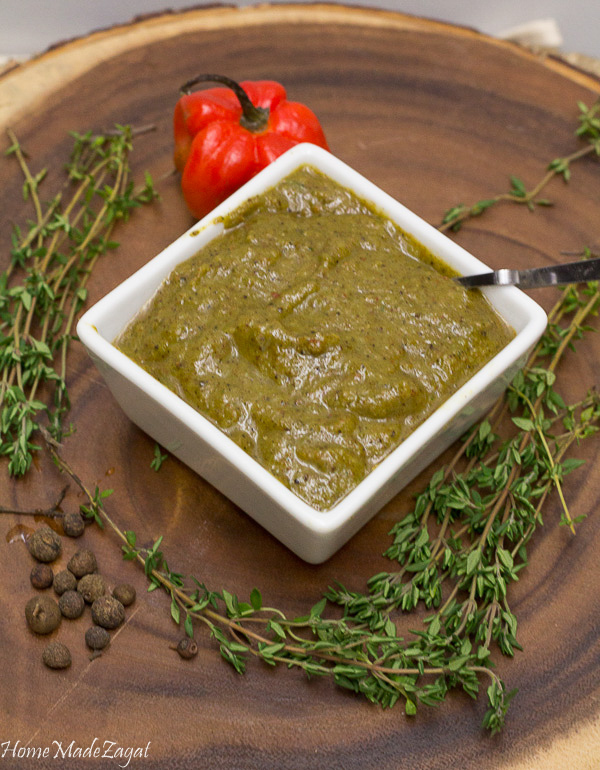 Want to see what other condiments I make for myself?